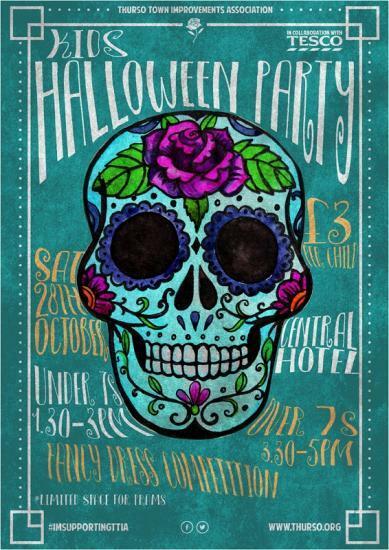 Join Thurso Town Improvements Association for an afternoon of spooky fun at our Halloween Party. We'll have lots of Halloween themed games as well as home baking and a prize for the best dressed. We've taken last year into consideration and will run two parties suitable for different age groups. We are so thrilled that so many little ones came along to join in the fun so we want to make sure we throw a party to remember with plenty space for dancing and playing games! This event takes place in collaboration with Thurso Tesco and The Central Hotel.